This winter — after DOZENS of requests by parents — I was able to create a brand-new storytime designed for families with two children under the age of 36 months. 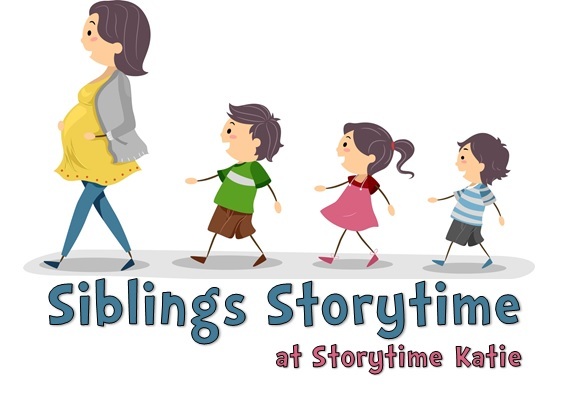 Since both our baby storytime and toddler storytime class allow no siblings, parents have to either find another adult to watch the child not in storytime or miss out. While we do have a drop-in all ages storytime, it’s in our huge meeting room and typically has between 30 and 50 people present. It can be overwhelming for little ones! So…what is a siblings storytime? For me, it became a hybrid storytime between baby storytime and toddler storytime. It also became a chance for children to have equal amounts of attention. I do every rhyme three times — once as a demonstration and two more times so that baby and toddler can each have a chance on their adult’s lap. And it also gave me a chance to work on good sharing for my big siblings and to help create bonds between them and their new siblings. I think welcoming a new sibling is a transitional time in a young toddler’s life. If I can give them a bit of stability by continuing storytime, that’s great. If I can make the older sibling feel like a helper and a part of their new sibling’s life, I’ve succeeded. I also have a chance to do the same things that other storytimes accomplish: making peer friends, creating a community place to caregivers to meet, modeling behavior, teaching early literacy components. So…what did it look like in the program? [Typical storytime talk. ]Hi everyone! My name is Miss Katie and I’ll be leading siblings storytime. I’d like to go over some guidelines with you before we begin. Because I’m used to working with small people, I understand that accidents happen — I have tissue, wipes, and paper towels on both sides of the room in case of accidents. Bathrooms are located on either side of the storytime room, please feel free to use the bathrooms and supplies as needed. We all want storytime to be a welcoming environment. If your child isn’t feeling up to storytime, please take them outside of the storytime room. You can always come back in after they’ve calmed down or you can always try storytime on another day. I’m okay with movement, but I would like to point out two areas that I need you to keep your child clear of: the area by the door and the area right in front of me. They don’t have to sit down, but they do have to leave these spaces. [New stuff for siblings storytime!] Our adult volunteer Miss K is here today to help us out if anyone needs a hand during the program. You’ll hear and see me asking your children to interact during the storytime — we want this class to be a bonding activity for them. We’ll be practicing gentle touches and games with one another. If your children don’t want to interact with each other, that’s okay. We’ll keep trying, but let them make the decision to interact so it’s a positive experience. I learned this from the co-worker I took over for at baby time. I loved it so much that I brought it to toddler storytime and siblings storytime, too. This gives each child a chance to clap for themselves. It’s a great way for the whole group to learn names together and it doesn’t take too long with my classes. Clap your hands, my darling! So here’s where the hybrid starts coming. 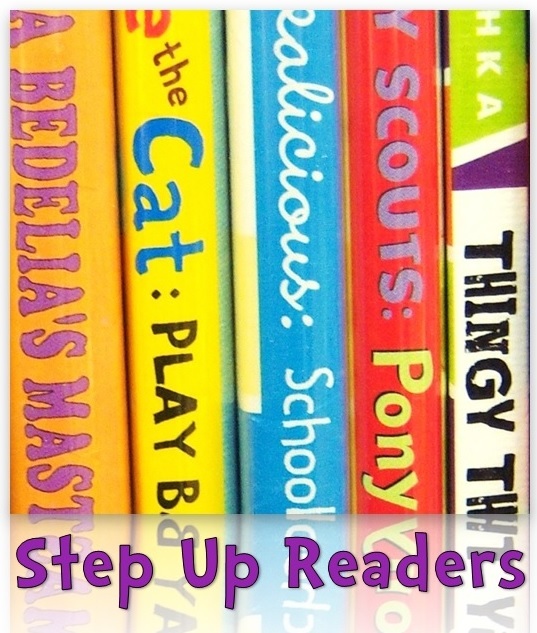 I start with our board book offering and then my second/third books are picture books. I always have a lift, bounce, and partnering activity planned. For the lifts, I have caregivers lift up babies and encourage my toddlers to jump with me. The bounces everyone can do and my toddlers really seem to love that time on their adult’s lap. I do have a few that would rather jump along to the bounce and that’s fine too. (I also have several who like to take turns in my lap!) The partnering activity is a rhyme or song that gets the two children interacting. I’ll explain more about these in each week’s write-ups. I used Melissa‘s “This Is Big, Big, Big” as the beginning of my closing routine. I literally use this rhyme in every storytime. It’s a great cue to everyone that we’re winding down. My kids LOVE bubbles. They just do. And I’m happy to give them something to look forward to before we say goodbye. And that’s my siblings class! I’ll talk specifically about which materials I used in each storytime’s post and what worked/didn’t work. Keep an eye out for those starting next week!